Having a newborn baby is a beautiful blessing, but it can also be very hard work. 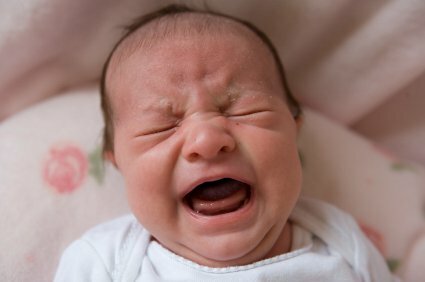 Having to get up every two hours to feed your baby can be very draining, especially for parents who have to get up early for work in the morning. 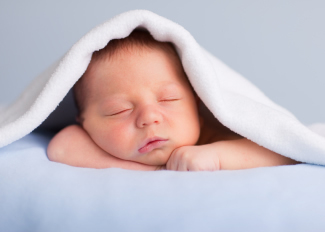 Although it is natural for newborns to wake up several times during the night, there are many great ways to get your newborn to sleep through the night only a few weeks after birth. The first thing to consider is how long you actually consider sleeping through the night. Although an adult would like to have eight or more straight hours of sleep, this is very uncommon in children under a year of age. Aim to have your newborn sleep for about six hours during the night, since they still need to eat even during nighttime and early morning hours. The first step in getting your newborn to sleep through the night is to give them a relaxing bath right before you put him to sleep. Try to use soap or shampoo that contains natural ingredients like lavender, since it can have a calming affect on your newborn. You should also follow the bath with a quick lotion rubdown, since it will help to soothe your newborn and make him ready to enjoy a long night of sleep. If he has hair as a newborn, make sure it is completely dry before putting him down, or else he may wake up as a result of his head being cold. Your newborn will sleep longer during the night if he has slept well during the day, so make sure he is taking regular naps. A newborn should sleep at least twelve hours a day, so make sure he is well rested before putting him down for the night. 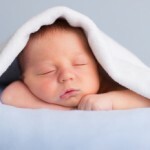 Even though most people think keeping a newborn up all day will help him sleep better, he will actually sleep longer during the night if he has had good rest during the day. Try to schedule his naps around the same time each day, and don’t let him sleep for more than two hours at a time for naps. Allow your newborn to wear himself out before bedtime, by bringing out some entertaining toys about an hour before bedtime. 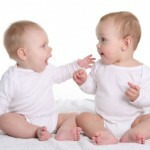 Toys that make noise, have bright colors, or that move around are best, since your newborn will be able to get rid of a great deal of energy by paying attention to the toys. You can also lay your newborn on his stomach for a few minutes before bed, since he will use some of his energy by holding his head up. You will want to allow about an hour though, since you can actually give him a sudden burst of energy if you overload him too close to bedtime. When putting your newborn to bed, make sure he is still slightly awake. He should be drowsy and on the verge of being asleep, but he needs to learn how to soothe himself to sleep on his own. He will then be able to associate his crib or bassinet with sleep, rather than feeding or play time. Make sure he is placed on his back when putting him to sleep, and the crib should be cleared of any toys, blankets, or bumpers. Even though it is natural for newborns to wake up several times during the night, there are many ways to help him sleep longer. It might take a couple of weeks of a consistent routine to see results, but it will be well worth it to be able to get six straight hours of sleep. By wearing your child out before bedtime, giving him a relaxing bath, and putting him to sleep while he is still awake, you can establish a bedtime routine with your child and help him sleep through the night every night.